As previously leaked, Sony Mobile has officially announced its latest flagship smartphones, the Xperia Z and Xperia ZL, at CES 2013 today. 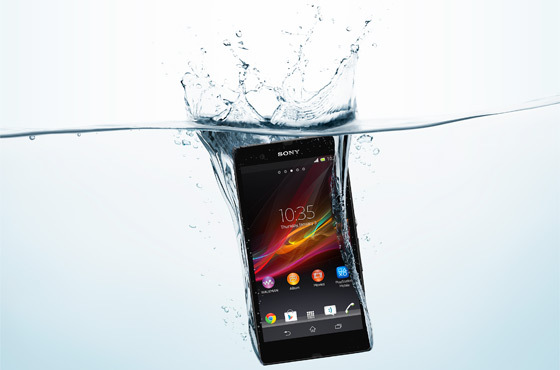 As previously mentioned, the Xperia Z and ZL are pretty similar in terms of specs, with the exception of the IP55 and IP57 ratings for dust and water resistance endowed on the Xperia Z. Read on after the break for more details. Both smartphones will feature top-of-the-line specs, such as a 5-inch Full HD screen, 1.5GHz quad-core Snapdragon S4 Pro processor paired with 2GB of RAM, LTE connectivity and they will be running on Android 4.1 Jelly Bean. In addition, both the Xperia Z and ZL will sport a 13MP Exmor RS camera, which will be able to capture high dynamic range videos – a first for smartphones. The camera will also be able to capture photos while recording. In addition, the Xperia Z and ZL will feature a set of new software such as ClearAudio+, Bravia Reality Display, and the Mobile Bravia Engine 2. There’s also a Battery Stamina mode, which kills all background processes (other than “whitelisted” ones, such as authorized apps) when the screen is turned off that allows for “easily four times longer standby” on the 2330mAh battery. 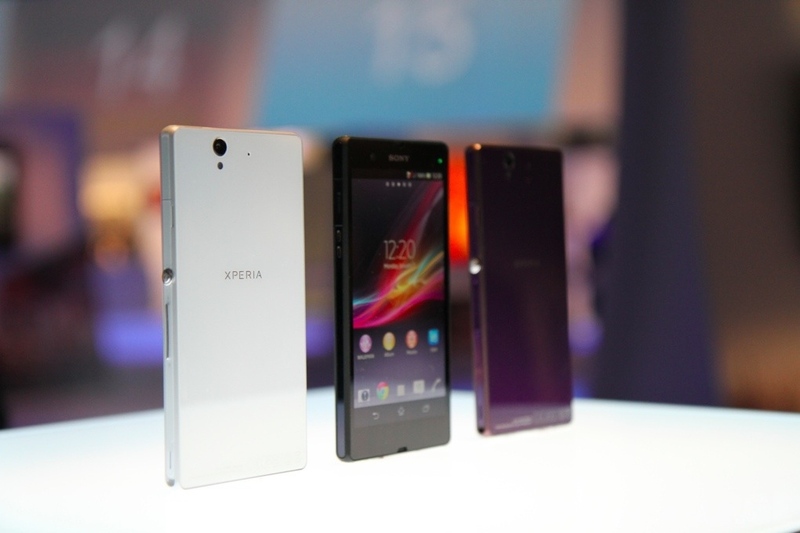 The Xperia ZL, on the other hand, is shorter, thicker and heavier than the Xperia Z, despite losing the resistance ratings. The front-facing camera is also located differently (at the bottom right corner) and is of lower quality (only shoots 720p videos, compared to the 2.2MP module on the Xperia Z). Unfortunately, Sony has mentioned that the company will not be releasing the Xperia Z and ZL on the same markets, and the Xperia ZL will be sold in regions where the Xperia Z is not. However, Sony did not provide any specific details on the regions where both devices will be sold. The Xperia Z and ZL will be released sometime in March, and an update to Android 4.2 Jelly Bean is in the works.